Funeral prayers for former first lady Kulsoom Nawaz were offered at the Islamic Cultural Centre in London on Thursday. The wife of former prime minister Nawaz Sharif had passed away in London on Tuesday after battling cancer for over a year. Her funeral prayers were attended by sons Hassan and Hussain, brother-in-law Shehbaz Sharif, Chaudhry Nisar and Ishaq Dar among others. The former first lady’s body will be flown back to Pakistan on a Pakistan International Airlines (PIA) flight scheduled to depart from Heathrow Airport for Lahore Thursday night. Shehbaz Sharif along with Kulsoom Nawaz’s daughter Asma, grandson (Hussain Nawaz’s son) and other family members will accompany the body. In Pakistan, the funeral prayers of the former first lady will be offered on Friday at Sharif Medical City in Jati Umra at 5pm, PML-N spokesperson Marriyum Aurangzeb said. Noted religious scholar Maulana Tariq Jameel will lead the funeral prayers. She will be later laid to rest in Jati Umra. The former prime minister’s sons, Hassan and Hussain, will not travel to Pakistan for their mother’s funeral due to legal complications. 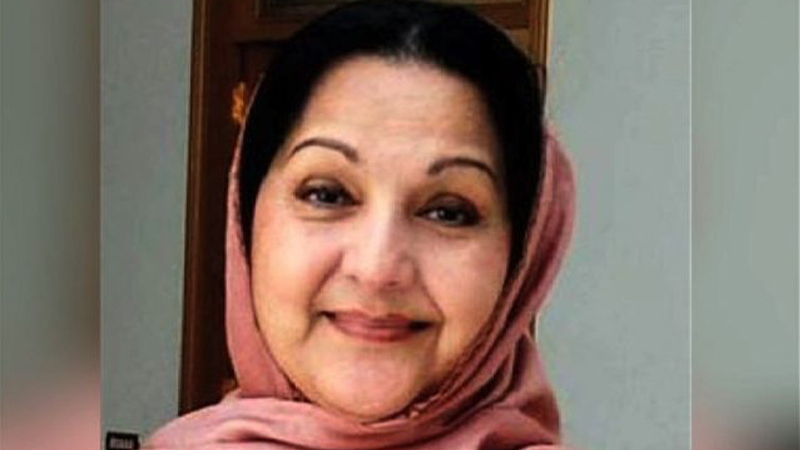 Legal formalities to bring the body back to Pakistan have already been completed and the family has received a death certificate issued by the Harley Street Clinic, where Kulsoom Nawaz died on Tuesday. The family have also received the ‘out-of-England’ letter from the coroner’s court.